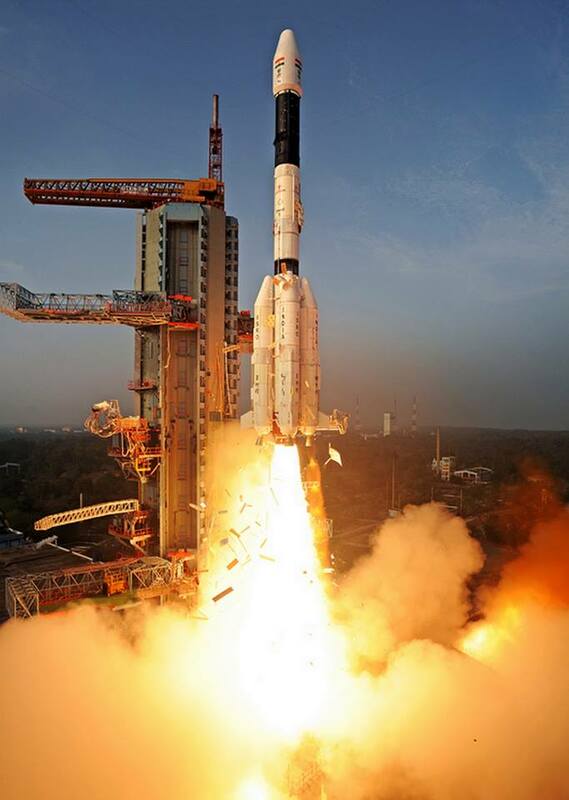 India Successfully Fires GeoSynchronous Satellite Launch Vehicle with Indigenous Cryo Engine. Others Comments Off on India Successfully Fires GeoSynchronous Satellite Launch Vehicle with Indigenous Cryo Engine. finally, GSLV (Short for GeoSynchronous Satellite Launch Vehicle) – to put communication satellites in a Earch Stationary Orbit. We had developed and achieved self sufficiency in the first 3 categories of satellites fairly quickly, and almost as per the planned schedules. India had sought the help of USSR (then) in mastering the GSLV technology, as it requires putting a satellite in an orbit that is 36,000 KM above earth, and requires a technology, known as Cryogenic Engine Technology and uses liquid Orxygen and liquid Hydrogen at temperatures far below normal temperatures. Russia (Formerly USSR) agreed to initially supply a few engines and then deliver the technology (technology transfer) in stages. However, after supplying 2 or 3 engines, Russia gone back on their promise under extreme pressure from other developed nations. Under these circumstances, coupled with sanctions from USA and other countries against supply of any space related components or technology to India, India was left all alone with very few friends to rely on. The success is not without failures. Several missions with indigenous and imported engines had failed, with many people doubting whether India could achieve this mile stone at all! Originally, India’s self reliance in launching GSLV rocket was supposed to be achieved by 1995. However, given the circumstances, the indigenous development had been delayed significantly due to failures in perfecting the Cryo engine technology. Hearty congratulations to Dr. K. Radhakrishnan and his team for successful launch of GSLV D5. India is looking forward to many more such achievements from our distinguished scientists and technocrats!